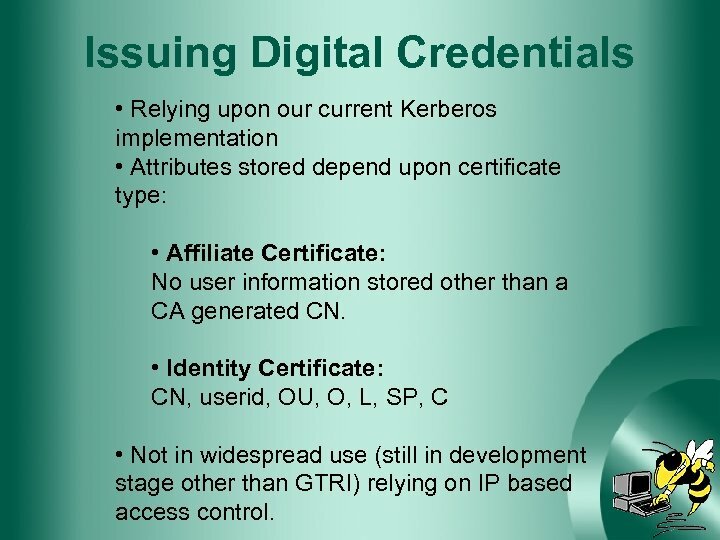 Issuing Digital Credentials • Relying upon our current Kerberos implementation • Attributes stored depend upon certificate type: • Affiliate Certificate: No user information stored other than a CA generated CN. 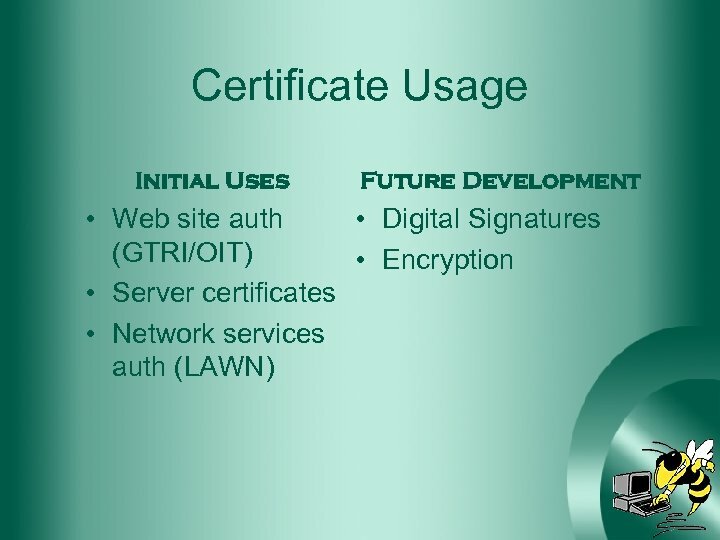 • Identity Certificate: CN, userid, OU, O, L, SP, C • Not in widespread use (still in development stage other than GTRI) relying on IP based access control. 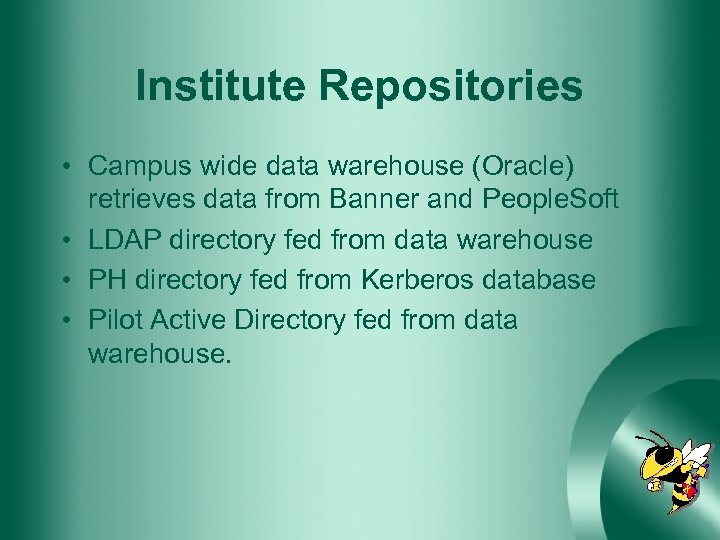 Institute Repositories • Campus wide data warehouse (Oracle) retrieves data from Banner and People. 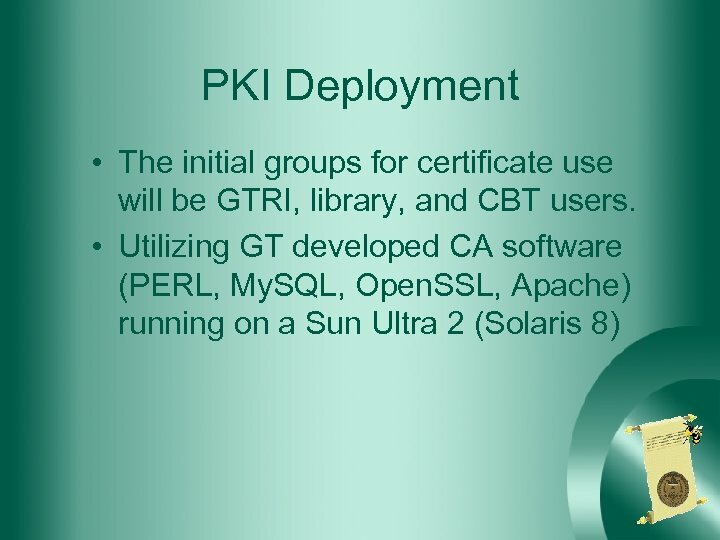 Soft • LDAP directory fed from data warehouse • PH directory fed from Kerberos database • Pilot Active Directory fed from data warehouse. 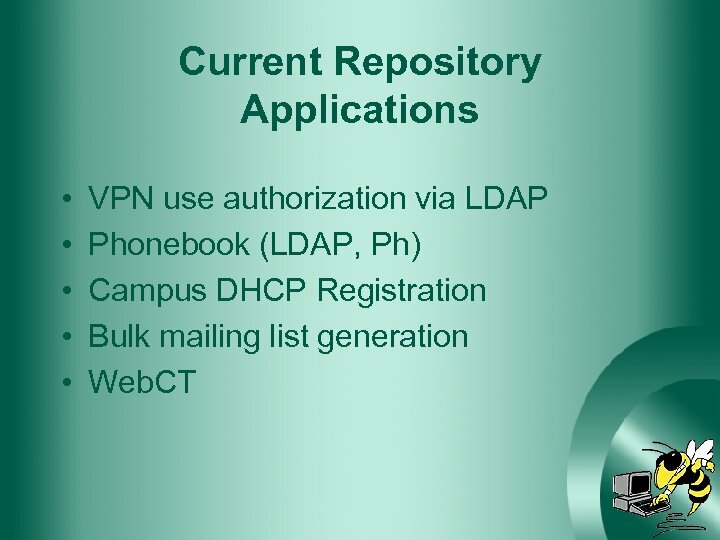 Content Providers • Access currently limited by IP address range. • Developed a Check. Point VPN solution as an interim solution. Are We Ready? 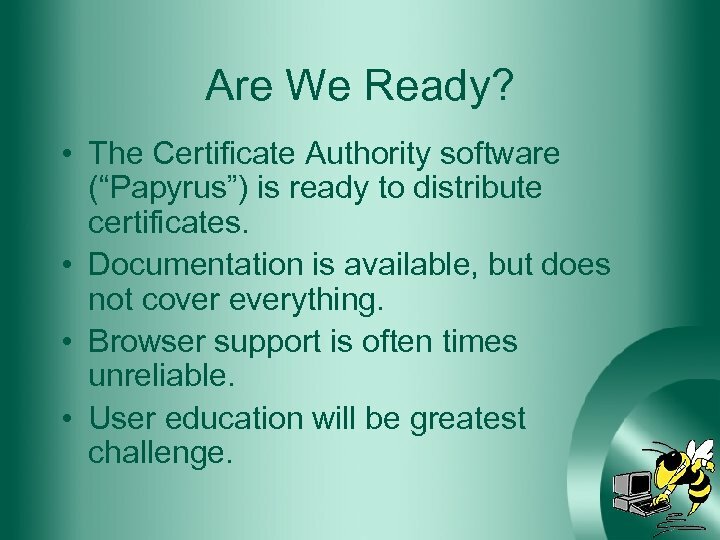 • The Certificate Authority software (“Papyrus”) is ready to distribute certificates. 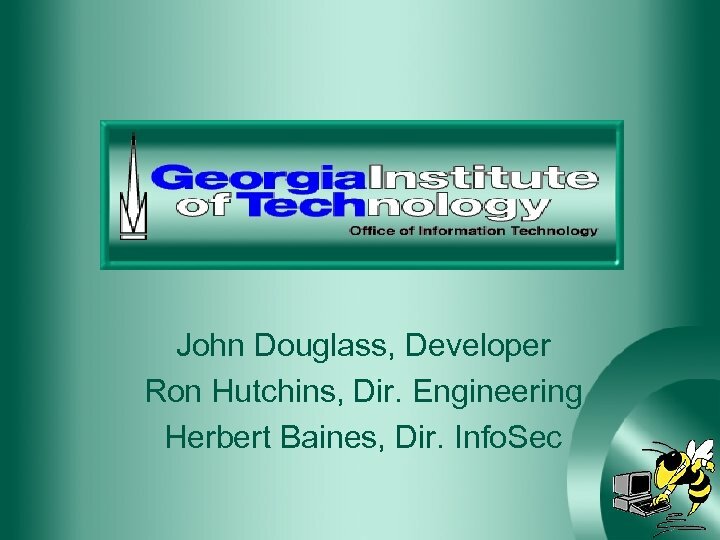 • Documentation is available, but does not cover everything. • Browser support is often times unreliable. • User education will be greatest challenge.